StoryStylus is a publishing platform designed for writers, screenwriters and game developers to create interactive story games for the web or tablet! 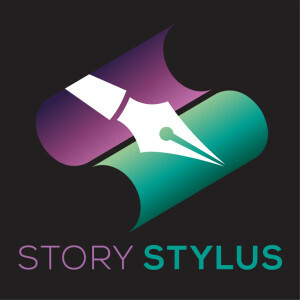 StoryStylus is a platform for the creation and publication of interactive games or educational stories. Share with friends and family. 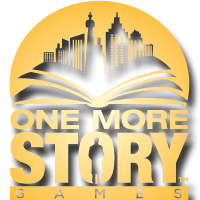 Submit story games for publication and earn royalties. – Create characters, dialogues, locations, items with the push of a button. – Upload your own graphical content, or use our soon-to-be expanded library of maps and images. – Map out your dialogue and make it as simple or complex as you want. – Use our scripting engine to create triggers as players go from one story element to the next (you don’t need prior coding experience). – Use the serialization plug-in to quickly generate your characters, locations and items for your second, third and fourth stories. – Use our rapport system to have your players engage characters to win them over or antagonize them – if you bring a cuppa coffee to Detective Mueller, he might just warm up to you. – Fluent in another language? Use our translation tool to publish the same game in multiple languages. Use StoryStylus to create stories that you’re passionate about. As long as it doesn’t violate our terms of service, you can write about werewolves, Sherlock Holmes and/or Shakespeare or whatever you want! The best part is, you retain all the rights to your original work. When you’ve written your story, invite your friends to proofread, give feedback and test your story then share it far and wide – you’ve just made an interactive storygame! CURRENTLY IN ALPHA for Windows OS. Use your same login/password that you created for the games portal. As we deploy new versions, you’ll receive notifications upon opening StoryStylus that you need to update. You’ll need to open FireFox and visit the Install page to get the latest version. “An Introduction to StoryStylus” webinars happen monthly – please subscribe to our mail list for notification.